3-color, 18” x 24” screen-printed poster on Cougar Smooth Opaque 100lb Cover In White. Hand-numbered. Limited edition of 300. Suitable for framing! 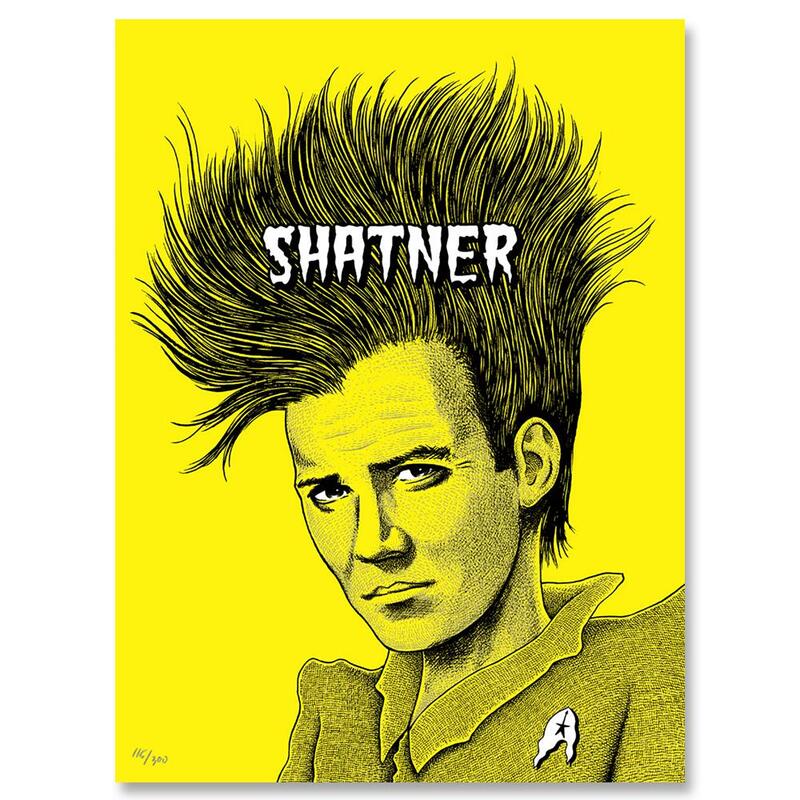 Captain Kirk himself, William Shatner gets “Covered in Punk” in this amazing, officially licensed, individually numbered, 18” x 24”, Ltd Ed Screen Printed Poster featuring art by original Cramps cover artist Stephen Blickenstaff! The all-new design, (commissioned specifically for ”Dr. Demento Covered In Punk”) commemorates Mr. Shatner’s mind blowing cover version of the Cramps’ classic “Garbageman”, and pays homage to the iconic “Bad Music for Bad People” album cover art created by Blickenstaff in 1983, and released by the Cramps in 1984. THIS IS A LIMITED EDITION OF 300 SCREEN PRINTED POSTERS. EACH INDIVIDUAL PRINT HAS BEEN SEQUENTIALLY HAND NUMBERED FROM 1 THROUGH 300.